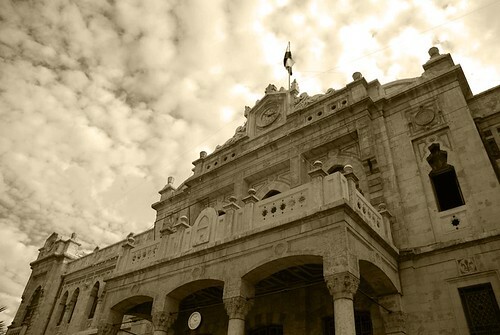 Ever since I was in Syria in September I have had a small wish to see the Hijaz railway station. I have read a lot about the railway and wanted to see its train station in Damascus even though I had been told it was not much to see. I got my chance when I went to Damascus a second time in late November. The station lies in the end of al-Nasr Street, a straight walk from the entrance of the famous Souq al-Hamidiyya by the Citadel. After quick walk I came to the only building that could be the train station. 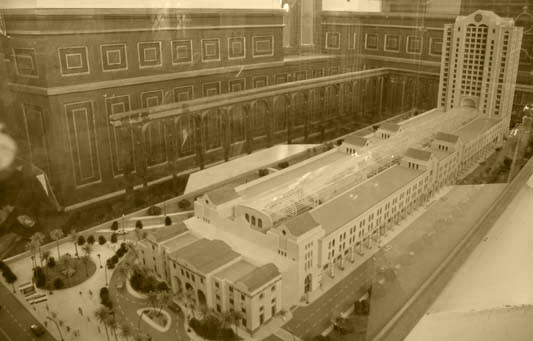 The building looked older than the surrounding buildings and a big train was parked outside. It was not the most impressive building in the world, but interesting enough. The inside however offered a small disappointment. The building had been turned into, or contained, a small and not very impressive book shop. The book shop only offered titles in Arabic and did not have the biggest selection of books. A book cover picturing the head of George W. Bush as the dot in a question mark offered however a minor amusement. The windows of the building saved some of the the impression. They were made up of glass in many colours and gave the inside of the building a very colourful atmosphere. I was also allowed to see the back of the station where I had a tiny hope of seeing some railroad tracks. 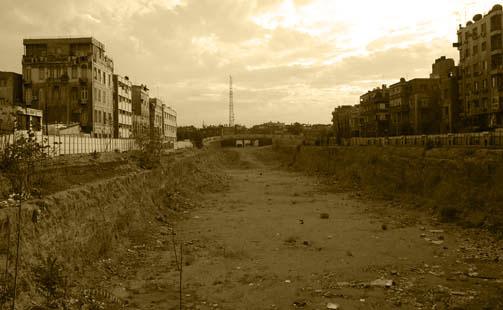 In stead I gazed upon a huge hole, garbage and a small unimpressive bridge in the horizon. I did not ask anybody, but I guessed there were plans to add another section to the building, apparently not a very small one either if I should believe the displayed model. According to my slighty outdated Lonely Planet guide book for the Middle East will this new terminal be the terminus of a new Damascus-Beirut railway line. – The current old station is the small building in the front. – In the back of the station where the new terminal will be built. If you want to learn more about the railway see this website.